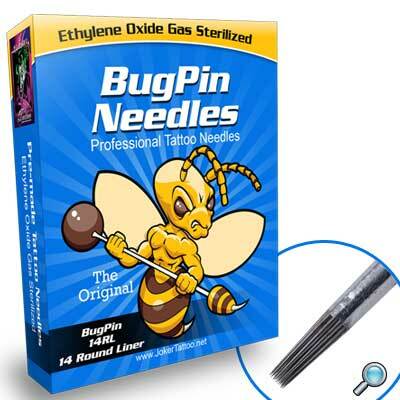 The highest quality tattoo needles in the industry. Long taper, BugPinâ„¢ Tattoo Needles. Made of high grade stainless steel. 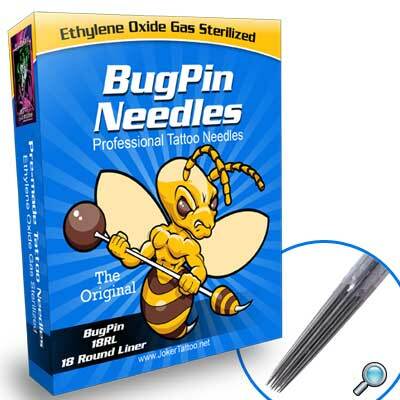 Each tattoo needle is individually packed and sterilized by Ethylene Oxide Gas. The original BugPinâ„¢ tattoo needles are excellent for smooth, clean gradients often used for portrait tattoos. 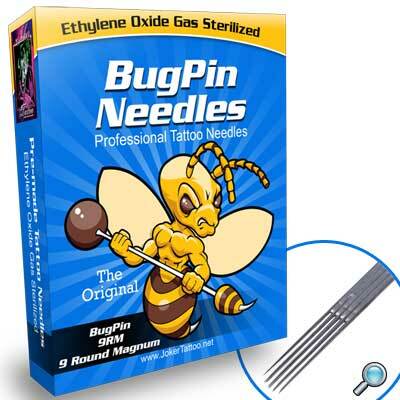 These needles feature a tighter grouping and finer gauge wire than standard needles.